Philip's father had been an actor and producer in theatre and, by association, Philip had a great interest in show music. When he was 16 he heard the cabaret singer Agnes Bernelle on the radio. He met her, and ultimately produced one of her albums. It is possible that Philip took the name Chevron from the record label Chevron Records, which has issued artists like Bing Crossby, Judy Garland and Sarah Vaughan. In the mid 1970s Philip became mesmerized by the blossoming Punk movement. He joined Pete Holidai and Steve Rapid in forming Ireland's first punk band, The Radiators From Space, "because they needed a guitarist." They reached number 17 in the Irish charts with their debute single "Television Screen". During the recording of their first album leadsinger Steve Rapid left and Philip stepped forward to fill the role. 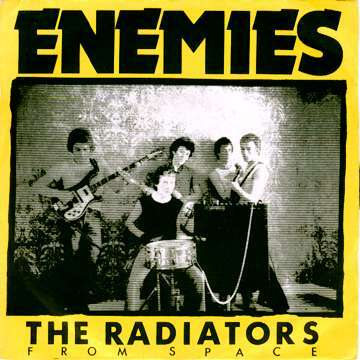 The Radiators from Space organized a punk festival in Dublin, but security was a problem. A audience member was killed during the show, and subsequently nobody would book the Radiators from Space to play. 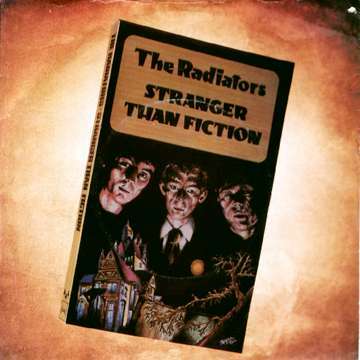 The group moved to London, changed their name to The Radiators, and recorded the LP "Ghostown". The record release was delayed for almost a year. When it finally was released, it got very good reviews. Unfortunately the reviews were too late, and shortly after the release the group broke up. In 1981 Philip recorded a five-track mini LP of Berthold Brecht and Kurt Weill songs called "Songs From Bill's Dancehall". He performed his Brecht/Weill show with Christy Moore and Donal Lunny's group Moving Hearts, but it wasn't successfull. He got a job in Camden's Rock On record store, where Elvis Costello was a customer. Philip talked to him about a single he wanted to record and Elvis agreed to produce it. 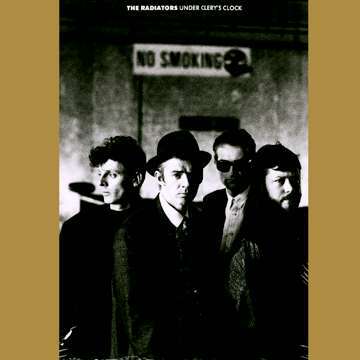 The A side was "The Captains And The Kings" from Brendan Behan's play "The Hostage," and the B side was a re-recording of The Radiators' "Faithful Departed". The single was released on Elvis' own label IMP in 1984. Philip asked The Pogues' manager Frank Murray to manage him too. But Philip was more of a producer than an artist then. He produced among others The Men They Couldn't Hang and Agnes Bernelle. The Pogues were going on their first tour outside the UK, but Jem Finer's wife Marcia was having their second child so somebody had to replace him. Frank asked Philip and he agreed to do it, even though he'd never played the banjo before. After that tour Philip stayed in the band because Shane didn't want to play guitar anymore. In 1989 Philip took part in a tribute album to Phil Lynott called "Ode To A Black Man", released on cassette in different versions in 1989 and 1991. He also sang a duet with Mary Coughlan on the title track of a 1990 charity album "For The Children" by the group LILT. This project was led by Ron Kavana and included different Irish musicians, including The Pogues. Philip also did a solo version of "Thousands Are Sailing" for the soundtrack to a BBC documentary about Irish music called "Bringing It All Back Home". He left The Pogues in 1994 because he was too ill to tour and wanted to get back to more traditional Irish music. In 1995 and 1996 Philip completed two compilation albums with Radiators material. The titles of those were taken from courus of the traditional ballad "Molly Malone". "Cockels And Mussels" is a best of compilation and "Alive-Alive-O" is a live album, also containing unreleased studio recordings. Most recently (since 1995) Philip was working on a musical together with radio critic Declan Lynch. It is based on the life of an Irish-American boxer. Chiswick 115, 7" Single (1980) FOUR ON THE FLOOR E.P. Stranger Than Fiction/Prison Bars/Who Are the Strangers? Additional great wads of thanks go to Coops for his help with corrections.